Last month, the Pennsylvania Supreme Court struck down the GOP-gerrymandered congressional districts as violative of the Pennsylvania state constitution, and ordered all 18 districts redistricted. The court gave Democratic Governor Tom Wolf and the Republican-controlled General Assembly about three weeks to approve a fast-tracked plan in its Jan. 22 order. Neither side was able to take advantage of that window, which set up the next step in the court’s order: Its own imposition of new district lines by Feb. 19. House and Senate Republicans made one last pitch to try to forestall the state court takeover of Pennsylvania’s Congressional maps, but were rebuffed by Gov. Wolf. Pa. redistricting is in the court’s hands now, after Gov. Wolf rebuffs last pitch for delay. Under the court’s redrawn map, districts more closely align with county lines, and only 13 counties are split among two or three districts. By contrast, under the last map, enacted by the legislature in 2011, more than twice as many counties were split among multiple districts. In striking down that map last month as unconstitutional, the justices said the new districts should be as compact and contiguous as possible. Their new map, they wrote in an order, is “superior or comparable” to proposals submitted by the participants and interested groups during the legal challenge that led to the historic ruling. 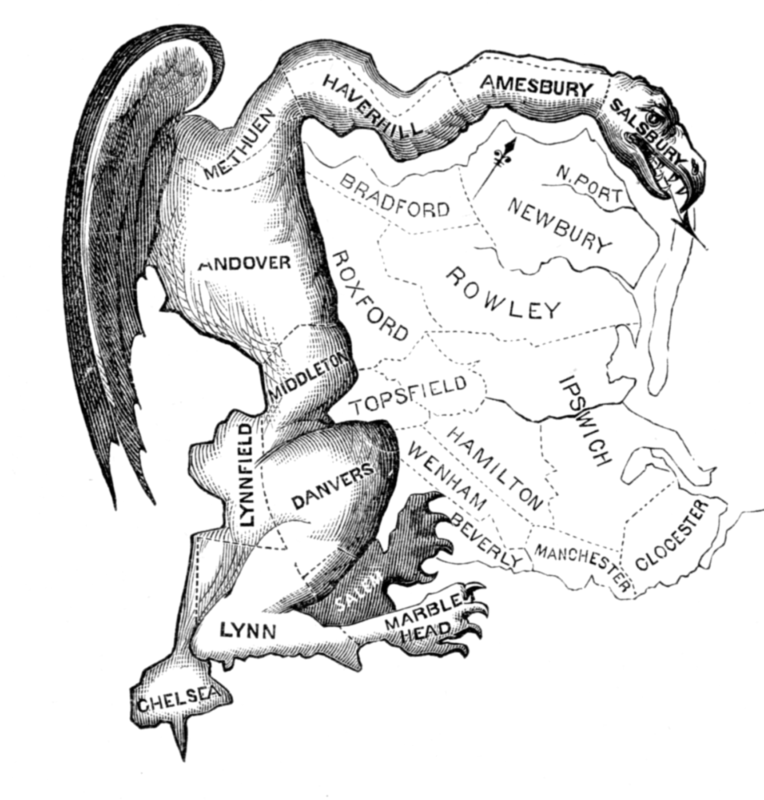 The early indications are that this is a much more competitive map which will help the Democrats compared to the gerrymandered maps drawn by the Republican legislature. Given Nate Persily’s general reputation for fairness, I expect that these maps will be fair and comply with the requirements set out by the state Supreme Court. The problem with this argument is that the Pa Republicans already went to the Supreme Court when the state supreme court announced a redistricting– and Republicans raised the very same argument. At the time it was raised, I called the argument a longshot, given a line of cases (most recently a 2015 case from Arizona) reading the word legislature much more broadly in the context of the elections clause. The emergency stay request went to Justice Alito, who denied it without even referring it to the Court. So he likely did not think much of it at the time. The alternative, which I’ve been hearing a lot about from reporters, is Pa. Republicans filing a new and separate federal court challenge in a federal district court raising the same Elections Clause challenge. This seems like a super longshot. Not only does it present the same problem on the merits as what Justice Alito already rejected. But this would be a collateral attack on a state supreme court decision in federal court (rather than a direct appeal from the state Supreme Court to the U.S. Supreme Court). Various abstention doctrines, including the Rooker-Feldman doctrine, would counsel federal courts against issuing orders directly against the orders of state courts. There are principles of comity and federalism that make such challenges extremely hard to bring. Bottom line: it is hard to see where Republicans go from here to successfully fight these maps. Of course, our always insecure man-child Twitter-troll-in-chief had to weigh in on the new fair congressional map in Pennsylvania (entirely ignorant of the legal arguments above). Indeed, it already is. Immediately after the U.S. Supreme Court elected not to block the Pennsylvania Supreme Court’s ruling from taking effect, Republican state Rep. Cris Dush issued an official memorandum asking his colleagues to support him in impeaching the five justices who determined the GOP’s map was unconstitutional. And this wasn’t just a lone legislator going rogue: The speaker of the state House, Mike Turzai, refused to rule out acting on Dush’s proposal. He was soon joined by none other than the chair of the Pennsylvania Republican Party, Val DiGiorgio, who—unprompted—declared in an interview, “I think it might be time to start thinking about impeachment for some of these judges that are overstepping their bounds.” And now this burgeoning movement even has Toomey, a sitting senator, in its corner. But what bounds, exactly, did the court overstep? These justices were lawfully elected by the citizens of Pennsylvania to, among other things, interpret the state’s constitution. In their view, the gerrymander that Republicans passed in 2011 violated the constitution, and so they ordered a new, fairer map be drawn. But to Republicans, that’s entirely illegitimate. After decades of eliminationist rhetoric deligitimizing the very right of their ideological opponents to even hold opposing views, it only fits that Republicans see any adverse judicial ruling as fundamentally improper. It is, in fact, the ultimate act of projection: When a court determines that Republicans have engaged in illegal behavior, Republicans themselves turn around and accuse the courts of acting illegally. It’s a revolting assault on the rule of law, but it’s been part of the Republican playbook for a long time—and in fact, they’ve only been amping up their attacks on our democratic institutions in the Trump era. And here’s the truly terrifying part: They could actually do this. It only takes a simple majority in the state House to commence impeachment proceedings, and a two-thirds vote in the state Senate to remove judges from the bench. Republicans control both chambers of the legislature, and they even have a supermajority in the Senate—thanks to the very same sort of partisan gerrymanders that the Supreme Court struck down on the congressional level. Right now, the only thing holding them back is the possibility that such a naked attack on the judiciary could inspire a backlash at the ballot box this fall. But otherwise, Pennsylvania Republicans and their ill-gotten majorities are free to shred democracy as they see fit. And that should terrify us all. GOP authoritarianism run amok in Pennsylvania – tyranny should terrify us all. UPDATE: Rick Hasen reports, Looks like Pa. Republican leaders opposed to the state Supreme Court redistricting remedy will file a SCOTUS petition AND a new separate federal district court lawsuit. Here’s why both are likely to fail.